For some time I’ve been meaning to write up a post compiling all of the basic recipes that I refer back to time and again, the ones for foods that sane people just purchase at the grocery store. I’ve got quite a list that fits this description, in part because our grocery store visits are so few and far between, and in part because the homemade versions, in many cases, just taste sooo much better. I’ve also included a few particularly useful substitutions. As I discover new essentials, I’ll add them to the permanent record here for ease of referral. 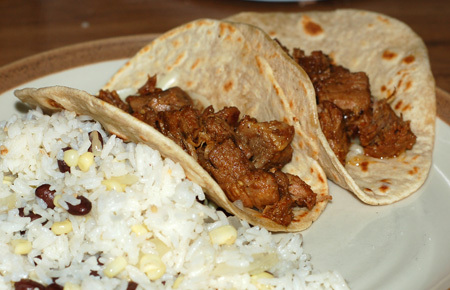 Flour tortillas: These tender little tortillas are hand-rolled and quickly cooked in a cast iron skillet. I use a mix of white and whole wheat flours. Variations: Multi-grain tortillas, corn tortillas, pupusas. 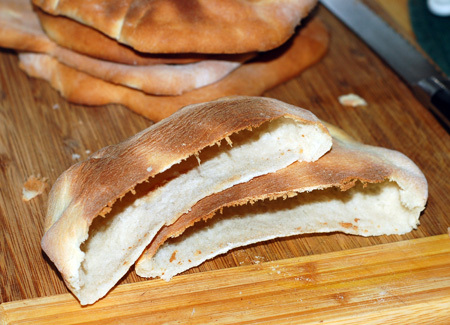 Pita bread: Even if these pillowy homemade pitas don’t form pockets, they still taste great as flatbread and pita chips. The key to pockets is getting the thickness right. 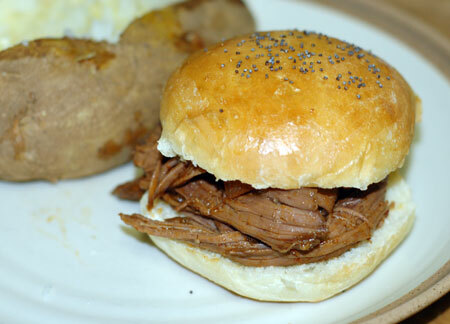 Hamburger buns: Nothing quite compares to a burger or barbecue beef sandwich served on a freshly baked bun. This recipe for your basic white flour buns has the perfect combination of tenderness and sturdiness, and could easily be reshaped for housing hot dogs or sausages. 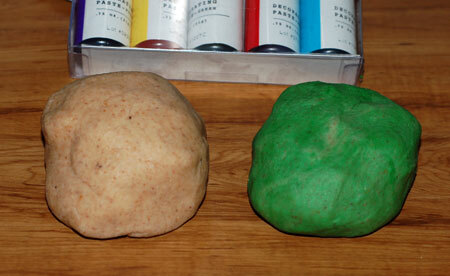 Variations to come: Wheat buns, kaiser rolls. 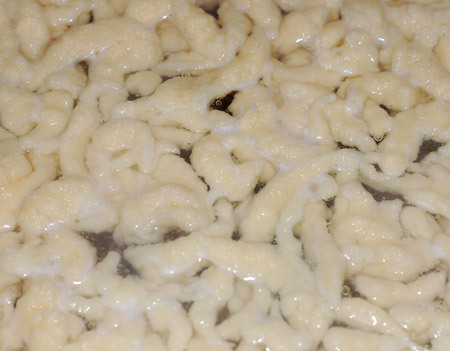 Spätzle: These little German dumplings are incredibly easy to make with the help of a potato ricer, but you could also use a colander with large holes. I also love them because you can make them a bit in advance, then reheat them by sauteing in butter. Mmmm! 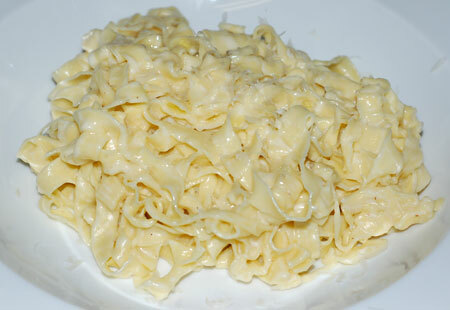 Fresh pasta: I use this pasta recipe to make fettuccine, tagliarini, ravioli, maltagliatelli, lasagne, cannelloni, and a host of other pasta dishes. A pasta roller, while not essential, will be incredibly handy. *Variations: Beet pasta, spinach pasta, zucchini pasta, buckwheat pasta, saffron pasta, sweet potato pasta; potato gnocchi and ricotta gnocchi, tortellini. Variations to come: Orecchiette, trofie. Wonton wrappers: These wrappers are in essence another sort of pasta, and comes in handy when wonton wrappers are difficult to find at the store. Variations: Egg roll wrappers, samosa wrappers, pierogi dough. Buttermilk biscuits: These biscuits can be made with no special equipment, but they are a snap when you have access to a food processor and a 1/4-C disher. 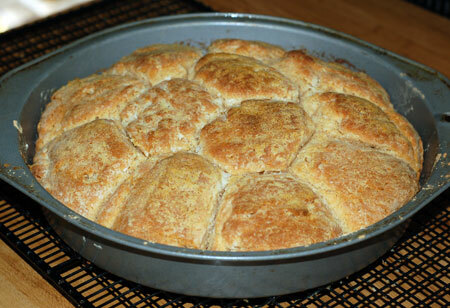 I’ve used my faux buttermilk with no adverse effects, and often use at least half white whole wheat flour. Variations: Sweet potato biscuits, cheese biscuits. 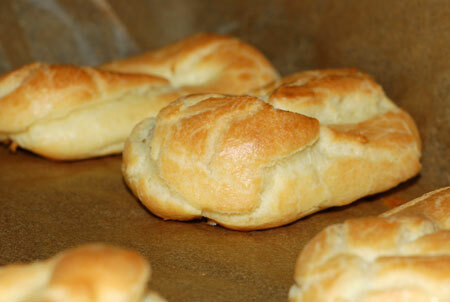 Variations to come: Basic drop biscuits, baking powder biscuits. 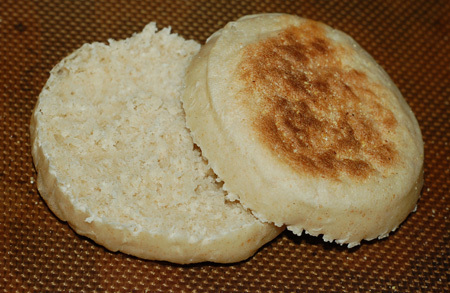 English muffins: My version uses both yeast and sourdough starter to produce biscuits with a very similar texture and superior flavor to the store-bought variety. Variations: Crumpets. Variations to come: Australian toaster biscuits. 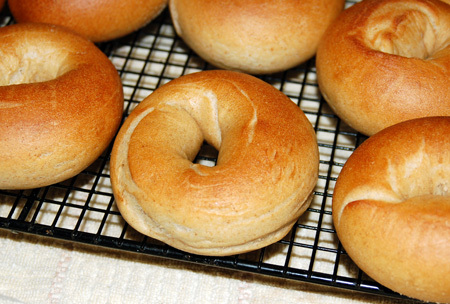 Bagels: Like the English muffins, these bagels take advantage of my trusty sourdough starter. Butter: This is as easy as agitating heavy cream until the butterfat separates from the buttermilk, so the higher quality cream you use, the higher quality the result. Use it as is, fresh or chilled, or add salt, herbs, and other flavorings, but be sure to give it a try! Variations: Cultured butter, compound butters. Buttermilk: If you aren’t lucky enough to have homemade butter and buttermilk in stock, these tricks are handy substitutions. 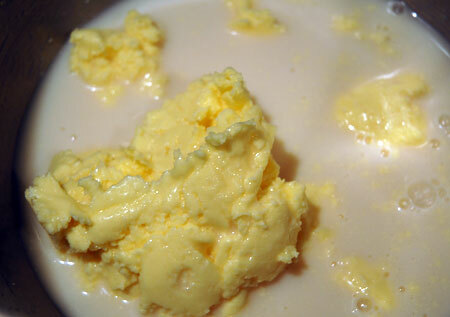 Variations to come: Cultured buttermilk. 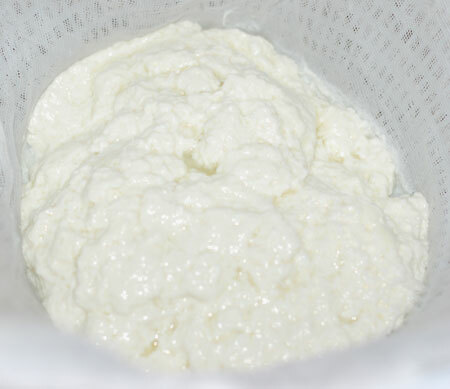 Ricotta: This could not be easier to make, and I’ve used the recipe countless times when I didn’t want to run to the grocery store. As with any cheeses, the better quality ingredients, the better the outcome, so use organic dairy if at all possible. Variations: Paneer, ricotta salata, gjetost/mysost. 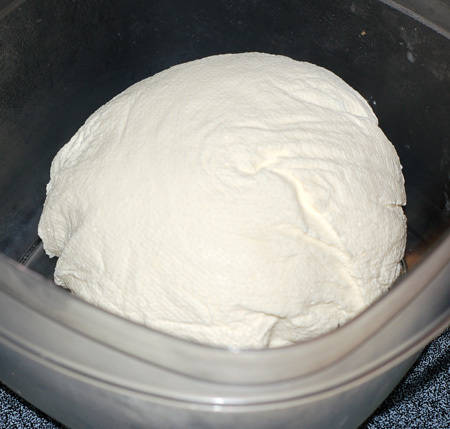 Variations to come: Queso blanco, mozzarella. Mascarpone: I can’t always find mascarpone cheese at the grocery store, and when I do, it is often more expensive than I want to pay. This easy recipe is a great alternative. 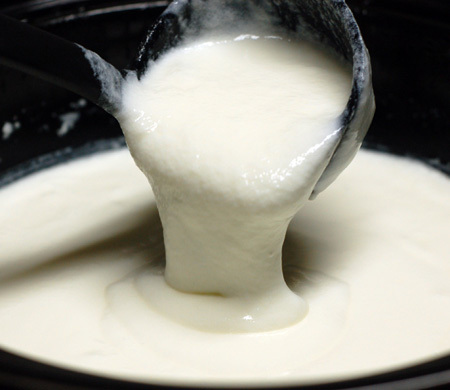 Yogurt: Yogurt is shockingly easy to make, as long as you have a starter culture and a method for maintaining a temperature of about 100F. Half a cup of storebought yogurt and a crockpot as insulator worked just fine for a year, although now I use raw milk and my Excalibur dehydrator set at 110F. Keep some on hand all the time, and you can substitute it for nearly any other dairy product and give yourself a probiotic boost. To come: Yogurt cheese, mozzarella, cottage cheese, cheddar, parmesan, gjetost/mysost, sour cream. Almond paste and marzipan: These are more items that can cost a surprising amount at the grocery store and only contain a few ingredients. You can use raw or blanched/peeled almonds, and a food processor is essential. 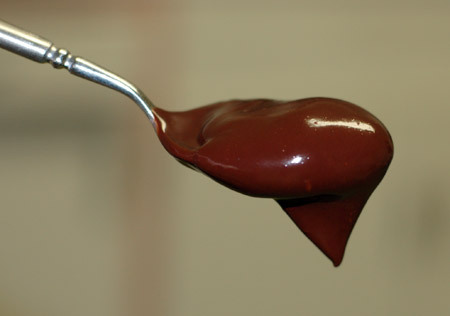 Ganache and chocolate sauce: Ganache can be used as a glaze for baked goods when warm or allowed to solidify for truffles. *Variations: Chocolate glaze, chocolate sauce, chocolate syrup, hot cocoa mix. 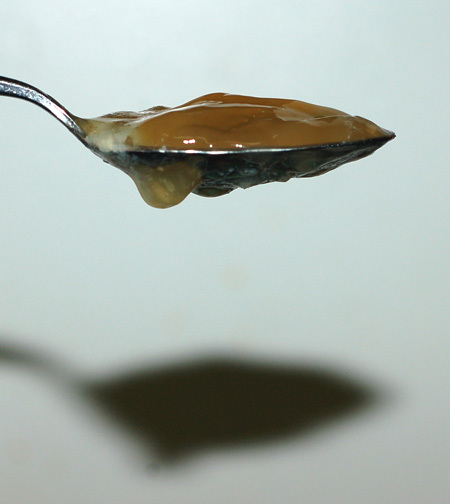 Caramel: Can be made with either a wet or dry technique; the amount of fat you incorporate in the form of butter and/or heavy cream will affect the texture of the finished caramel, taking it from crunchy to chewy. 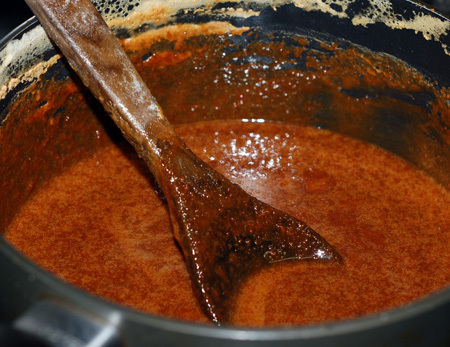 *Basic caramel for garnish: Dump granulated sugar in nonstick saucepan and heat over medium heat, not stirring, until the sugar melts and begins to brown. 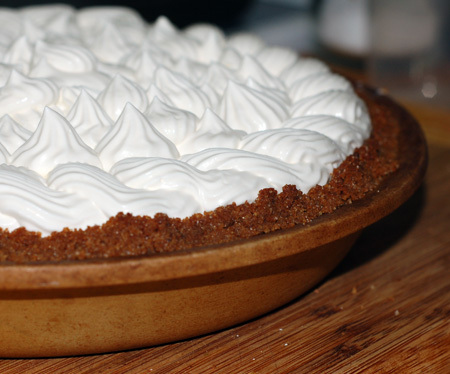 Remove from heat and add any inclusions, citrus juices or other flavorings, butter and/or cream. *To come: Basic caramel sauce. *Variations: Dulce de leche, cajeta, caramel candies. Variations to come: Spun sugar, praline powder. Pumpkin puree: You’ll want to use a sugar pumpkin for the best results, as jack-o-lantern pumpkins tend to have less flavor and more moisture. Variations to come: sweet potato puree, butternut squash puree. Marshmallows: My homemade version of these fluffy treats not only omits corn syrup, but can be used immediately as marshmallow fluff or allowed to set up for cutting into cubes. Marshmallows can also be flavored in a wide range of ways, dipped in chocolate, nuts, etc. Graham crackers: I’ve done several variations of graham crackers over the years, namely a simple version for my toddler, who doesn’t need the extra sugar, and a more decadent version from Nancy Silverton that tastes more like a real graham cracker. Both work just fine for reverting to crumbs. Variations: Bananagrahams and graham cereal. 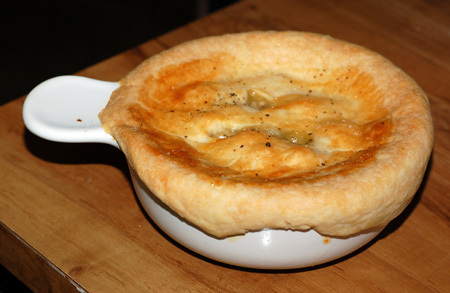 Pie crust: This is my go-to pie crust. 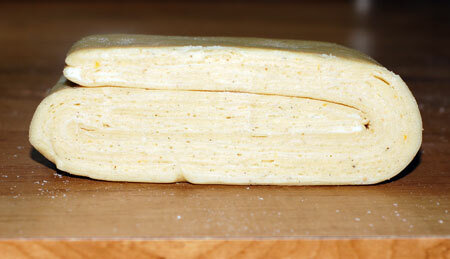 It comes out beautifully flaky every time, but my food processor may have something to do with that! Variations: Pâte sucrée, pâte brisée, sourdough pâte brisée, pasta frolla. 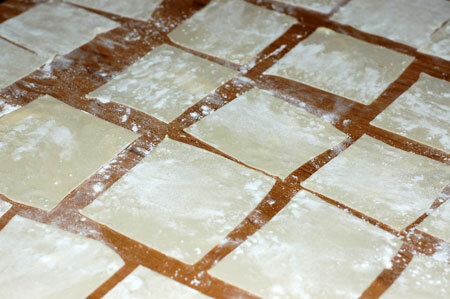 Puff pastry: Puff pastry is the classic laminated dough for both sweet and savory applications. It actually isn’t that hard to make, just a bit time consuming. Variations: Danish pastry, strudel, croissants. Choux pastry: The classic use for this soft stovetop dough is eclairs and profiteroles, but it can be used for wide range of items: gougeres, crullers, churros, funnel cakes, even gnocchi. To come: Butterscotch sauce, caramel. 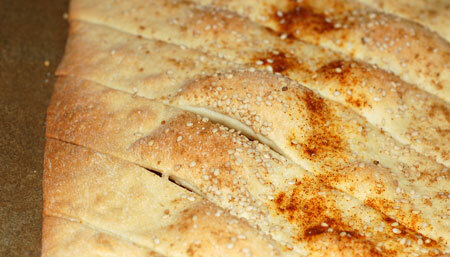 Crackers and Breadsticks: With a little pre-planning, these can be very easy to make. The key to crisp cracker and breadsticks is to stretch the dough super thin. *Variations: Lavash crackers, grissini, pita chips, wheat crackers, corn chips, cheese crackers, grain-free chocolate crackers. 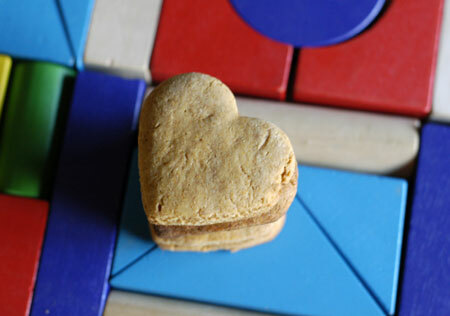 *Variations to come: Animal crackers, oyster crackers, petite gallettes salles. Pretzels: I haven’t made these for a long time, but if you have a sourdough starter in the refrigerator, they are just delicious. 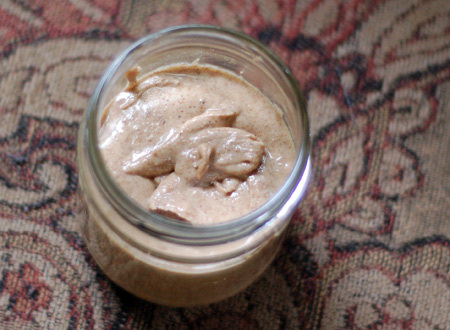 Nut and Seed Butters: Almond butter, coconut butter, sunbutter, pumpkinseed butter, chocolate-hazelnut butter, etc. Chicken stock: I make this pretty much anytime I have a carcass leftover from roasted or rotisserie chicken. I just toss in a few simple flavorings with a splash of vinegar, and let it simmer in the crockpot for anywhere from 8-24 hours, long enough to extract the gelatin from the bones and connective tissue. Variations to come: Beef stock. Condensed soups: These old chestnuts have been pantry staples since the 1960’s, but they have very little nutritional value and sodium off the charts. If you have homemade chicken stock in the fridge or freezer, it only takes a few minutes to cook up the equivalent of a few cans to use in your favorite convenience casseroles. 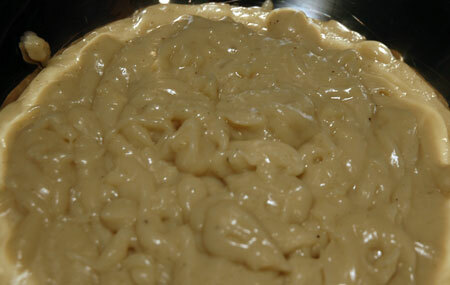 Variations: Cream of chicken. Variations to come: Cream of mushroom. Roasted red bell peppers: Cut peppers in half and place skin-side up on a baking sheet lined with extra foil; drizzle with oil and broil directly under the heating element until the skin has blackened and blistered. 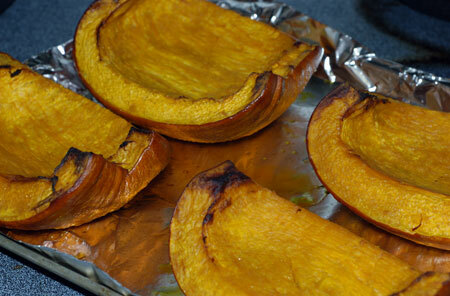 Remove from the oven and use tongs to fold the foil firmly around the peppers, creating a steam packet for them. After at least 15-20 minutes, unwrap and remove any remaining seeds and stem, along with the peppers’ skin, which should come right off; don’t wash them, however, as some blackened bits just contribute to the roasted flavor. This can also be done with poblano or Anaheim peppers. 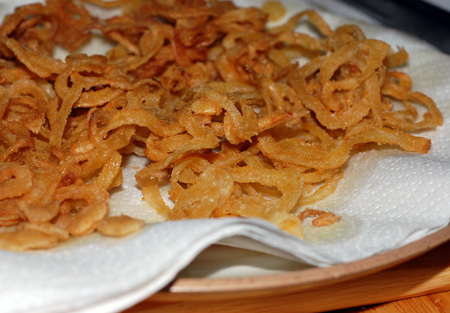 French fried onions: These are delicious on burgers, sweet potato puree, green bean casserole, or just in a pile by themselves. I use a mandoline to cut them as thinly as possible. 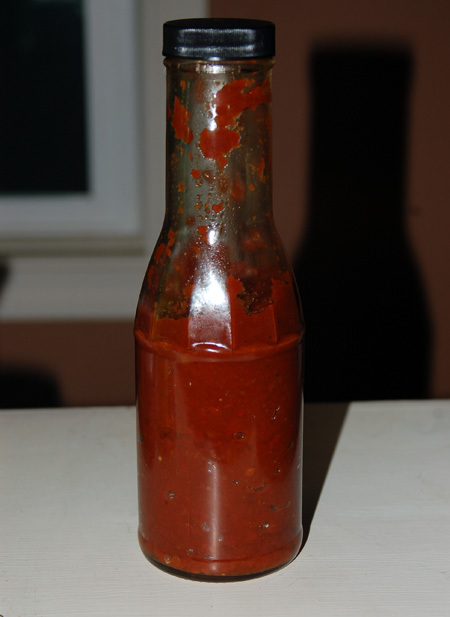 Tomato paste and ketchup: This post shows you how to make both, although if you don’t want it to take all day, consider buying prepared tomato paste. I have found this to be a great use for tomatoes at the end of summer, when you have so many you don’t know what to do with them, and into the fall, when you may be picking tomatoes a bit green to escape the frost and end up with a less than perfect texture. 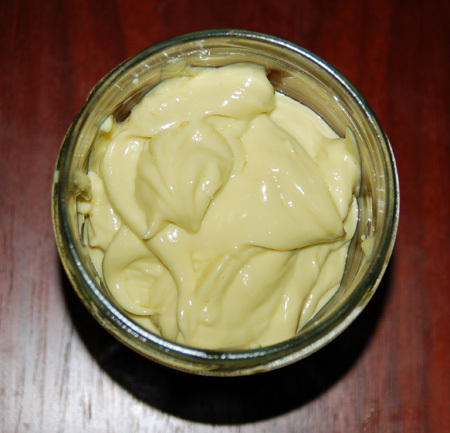 Mayonnaise: I tried making mayonnaise several different ways before I finally got it to thicken up, and now I can finally make it with just a whisk, an egg yolk, and some oil. It is well worth the persistence! 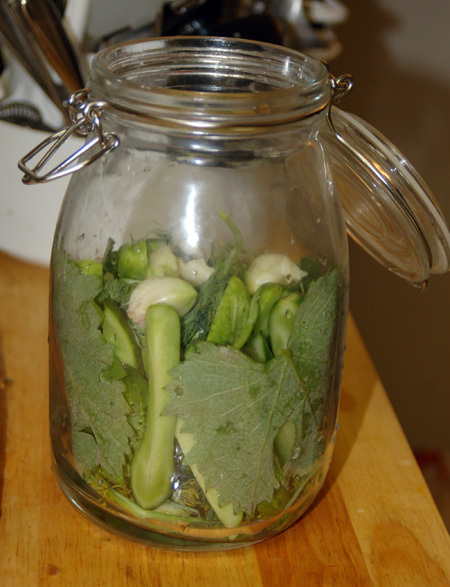 Pickles: I don’t eat pickles, but these lacto-fermented dill-garlic pickles are so good they may have changed my mind. I love being able to chop them up in tuna or egg salad for a little probiotic kick. 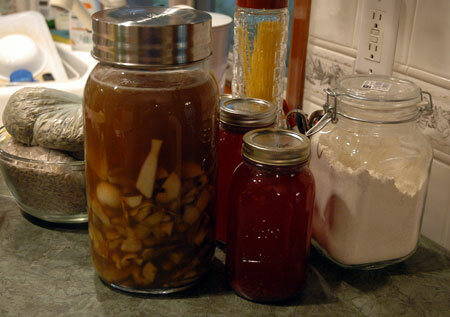 Variations: Brined bread-and-butter pickles. 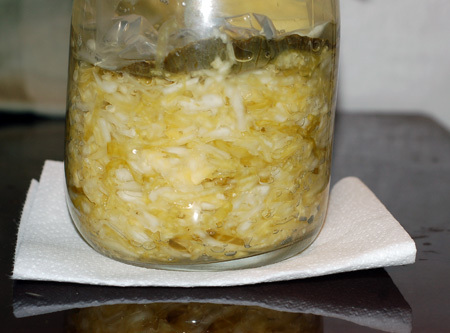 Sauerkraut: I was also very anti-sauerkraut, but the traditional homemade sort using just salt and whey to start them fermenting produces something so delicious that I have to admit my German ancestors totally knew what they were doing. 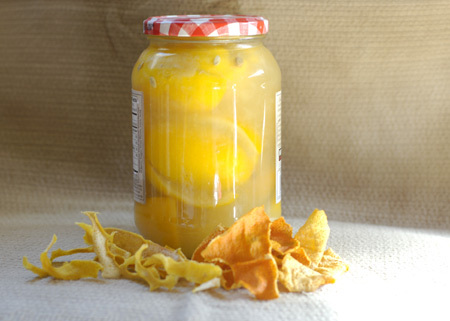 Preserved lemons: These tart, aromatic lemons get incredibly tender after a few weeks of marinating in salt and lemon juice; you can use the whole lemon in Mediterranean or Moroccan recipes, or remove the flesh and use only the softened peels. Homemade vinegars: I’m not talking about flavor-infused vinegars here (although those can be quite handy as well)—I’m talking about the basics of making vinegar from cider, wine, and even fruit scraps! I make gallons of this stuff every year, and use it for everything from cooking to cleaning to hair and skin care. To come: Sea salt, mustard, barbecue sauce, hoisin sauce, ketjap manis.